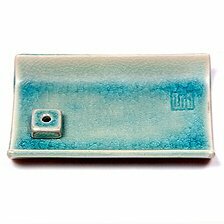 Ceramic Plate with Incense Stand. Good for a stick or a cone. W x H x D (inch):4-1/4" x 2- 1/4"